Boy, do I love lists of everything. They are concrete, they are concentrated and you can soak up a ton of helpful information in just a few minutes. How so? – you may ask. Because organizing is incredibly therapeutic. It feels so satisfying to take something messy and make it orderly, clean and tidy. And when everything is tidy, you’re simply less stressed. Today I want to share a whopping 99 of my favorite organizing ideas – including both physical and non-physical things. 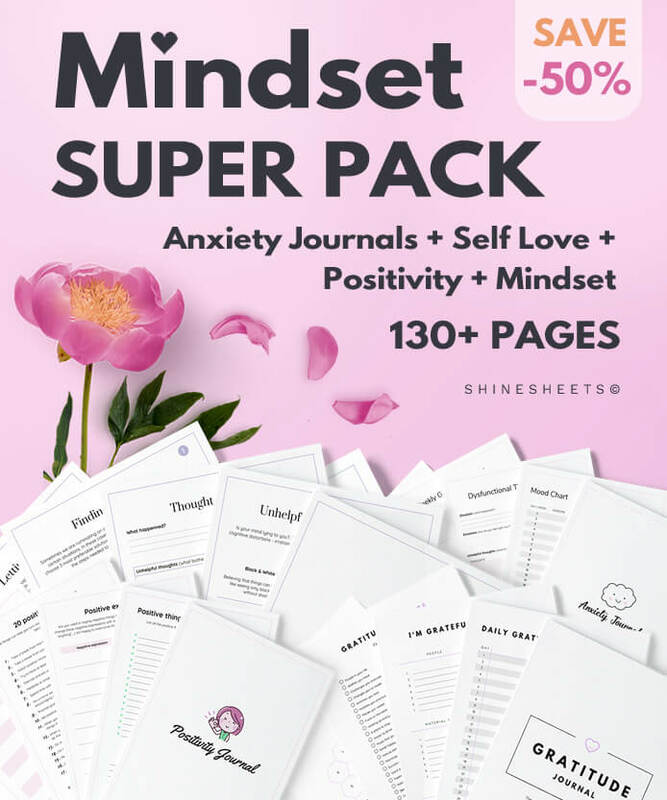 Before we begin – if you’re an anxious person, I recommend taking things slow – there’s absolutely no need to get organized 100% in just a few days! Take it step by step and you’ll benefit more. Update: I have spent some time updating this huge list with extra valuable links to fitting products, tools and resources! 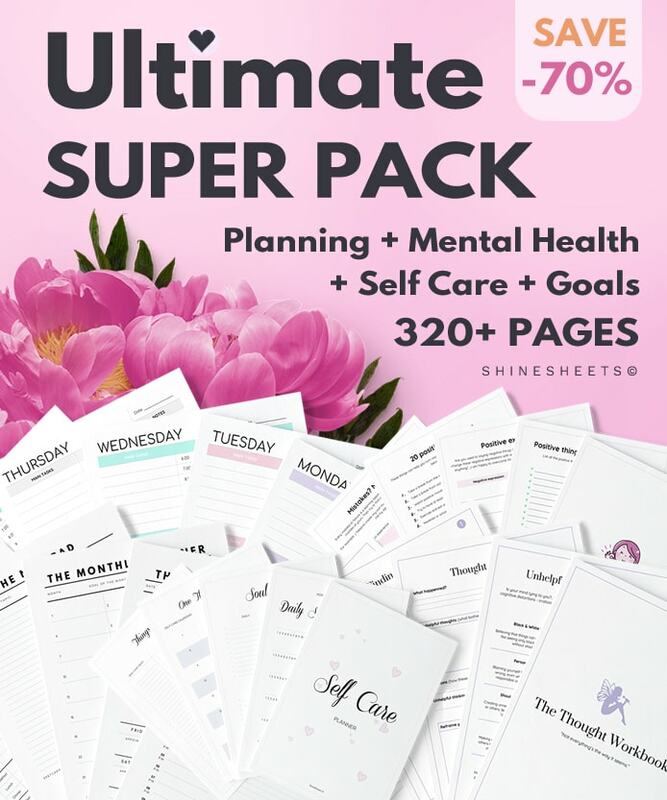 They will appear as pinkish purply text and I really recommend you to check them out since I’ve found some pretty cool stuff to help you seriously organize everything! And, as always, if you would like to save this list to your Pinterest, there’s a perfect pinable image at the bottom. Let’s go! This post may contain affiliate links to products or services I really love. You can’t organize your information and tasks if you are storing them in your head. Or maybe you can but it will be incredibly hard. Instead, write every piece of information that comes to your mind and then organize it to lists, plans, and checklists. 2. Declutter your purse regularly. Keep it clean and tidy to save yourself some sanity whenever you need to find something in your beloved bag. A great way to keep your bag seriously organized is by using a simple bag organizer. These are very inexpensive + very beneficial since you can also use a few of them in your suitcase when traveling. 3. Set a laundry day every week. Having a laundry day will help you get organized by tackling the whole clothes situation at your home. You will always have clean clothes but you won’t have to bother yourself with laundry on the other days. If you really want to get organized, a good minimalistic planner can be your holy grail. A planner is not only about setting schedules or appointments. 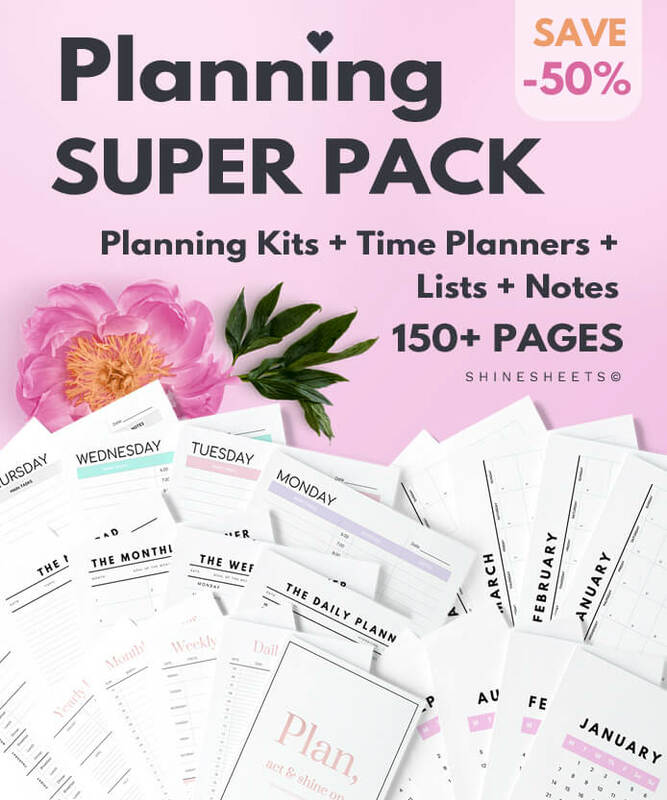 It can also include financial trackers, health trackers, project planners, academic plans – everything you need to stay as organized as possible. Closets are one of the most unorganized things you can find in persons home. They are also the perfect source of morning frustration. Having a clean, organized and decluttered closet will give you a nice, stressless start every day. Want to learn how to declutter a ton of clothes you have? Learn the KonMari method – it literally saved me HUGE amounts of closet space (and time!) when I was decluttering my apartment. Master it with an online course. Trust me, it is one of the best things you can learn in your life. 6. Use containers to sort things in your drawers. A divided drawer is an organized drawer. Hard dividers for drawers where most objects are hard. Soft dividers for underware and sock drawers. These make a HUGE difference in your drawers and if you can use them in every drawer of your home, it will feel very organized. 7. Always put on matching bed sheets. Not only it looks great but it also helps you to keep your linen closet more organized. Pro tip: fold and put matching sheets into the pillow sheets of the same style. Pro tip No. 2: use bedding sheets that snap together to keep them perfectly aligned. Now this one may seem controversial and I really want to emphasize that this may not be for everyone, but for me – it is one of the ways to get organized. You see, organizing isn’t just about decluttering your drawers. It’s also about paying attention to the details. Wearing matching lingerie doesn’t directly make you more organized but it helps you to start your day in an organized mindset, by paying attention to the details right from the start of your day. 9. Always wash your dishes after eating. This one is easy and also very important. It’s annoying to deal with a mountain of dishes so instead of piling them up or even worse – “soaking” them for hours, simply deal with them right after eating. This will keep your kitchen clean & clutter free. 10. Take out the trash every morning. Don’t wait until it’s too late – just take the trash out in the morning while you’re on the way to your car or other transport. Planning your future helps to organize your decisions and schedules. One of the easiest ways to fail at your goals is to think of them, but never really start doing anything about them. 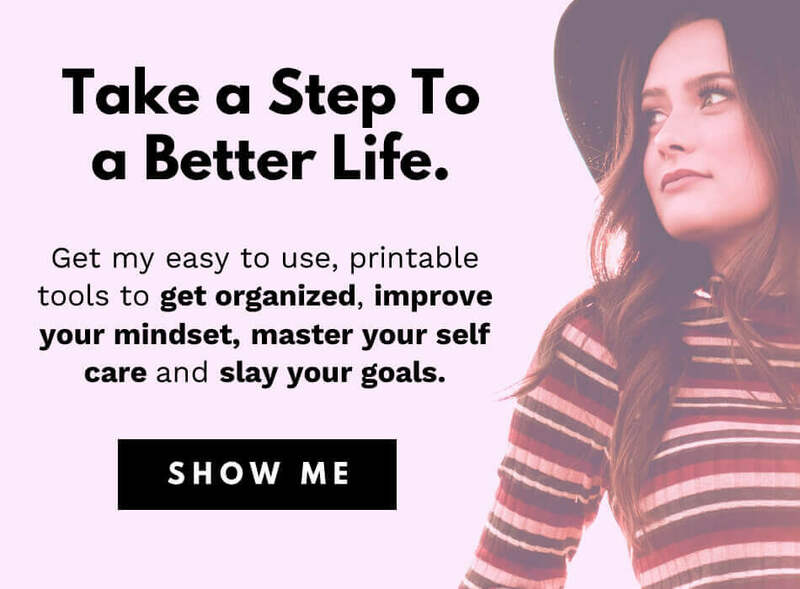 Get organized by deciding on those goals and start taking (even the tinyest) steps towards them. 12. Develop a morning routine. Mornings are hectic but if you have a morning routine, it can help you start your day in a streamlined, organized and stress-free way. 13. Hang a cork board in your work or study room. Cork boards work great to organize your work or study room. White magnetic boards work just as well! I use one in my home office and it really helps me to get organized whenever my work clutter accumulates. I love to print separate task lists and attach it to the board to save some board space. 14. Trash spam e-mails immediately. Trash them right away! This will keep your mailbox clean and tidy. 15. Declutter files on your computer. This is particularly important if you’re someone who works on the computer a lot. It’s incredibly easy to clutter your computer with files until one day you find yourself doing a simple computer task 3 x times longer than it could be. 16. Sort your photos into folders. And if you are using physical photos, put them into pretty albums! I sometimes find myself having 10-20 accounts of online services and tools that I don’t really use. So, the best way to tackle this mess (and avoid deleting hundreds of unnecessary newsletters in the future) is to simply dedicate an hour or two and delete all the accounts on their websites. P. S. Talk to your financial advisor before closing bank accounts too. 18. Spend 10-20 minutes a day tidying up a little. A simple way to get organized and stay organized too. It’s quick, it doesn’t take up a lot of your time and it will help you get organized a little faster. 19. Spray your bath with scale remover after showering. More of a cleaning tip but certainly something to help keep your bathroom clean and organized. 20. Plan your self-care routine and stick to it. If you want to get organized, it’s important to plan and organize the must-have basics too, like your self-care routine. 21. Plan your meals in advance. Prepare them ahead too to enjoy healthy and organized nutrition. Once you start planning your meals, you’ll find that it takes much less time to shop for groceries and cook your meals every day. You can also prepare your meals in advance and keep them in a fridge to save even more time. 22. Take time every week to clean your makeup brushes. To protect the bristles, you should always dry them downwards so the water is dripping down. It’s hard to find a way to keep them in downwards position, so things like a brush holder come extra handy. 23. Make your bed as soon as you get up. Get organized from the first minute of your day by setting the right mindset. Surprisingly, making your bed works pretty well for that! 24. Donate things you don’t need anymore. Most of us really own too much. Take a look at your belongings every season and check whether there is something you haven’t used much – then donate it. It will help you organize your home and might be really needed by someone else. 25. Set a place for everything in your home. It is much easier to get organized when every little thing in your home has its own home. Once I did this, it suddenly became so much easier to stay organized, and the cleaning time became much faster too! 26. Make a plan before any bigger task. To become seriously organized, you have to learn organize your work too and the best way to do that is by using simple project planning techniques. 27. Shop mindfully and evaluate your purchases. It’s hard to stay organized when you keep adding to your possessions list. When purchasing anything, think twice – is it really something you need? Will you use it and benefit from this thing? 28. Use separate laundry bags for colored, white and black clothes. An absolutely genius idea is to use a laundry sorter. They look put together and have little wheels attached so you can litteraly drive your laundry to the laundry room without having to lift it (and laundry can get really HEAVY sometimes). 29. Always put things back in their place. Everywhere – in your car, at your work desk, in your bathroom… Once you master this habit, it will help you every day. 30. Track your income and spending. If you want to get organized, it’s very important to organize your finances. You can do this with a mobile app or use a printable finance tracker. 31. Use neat paper for your notes. 32. Spend an hour cleaning every week. Just one hour and your home is a nice, tidy and organized sanctuary (well, unless you made it a mess before then it might take more than hour… and in this case, I really don’t judge! It happens to me too, way more often then it should). 33. Have a concealed trash can in every room. Concealed trash cans make it so much easier to keep rooms tidy and mess free! I have one in every room in my apartment and it really helps. 34. Get rid of the clothes that are damaged or faded. Admit it – you have a few of these goodies in your closet. When making a decision of purging these, think like this – would I be ok if a stranger saw me with these clothes? 35. Stock up on things you use regularly. 36. Use marked storage boxes in your basement or garage. It doesn’t really matter if your basement is tiny or huge – having the things neatly organized in boxes makes it so much easier to find them when you need. 38. … And even lists of everything. 39. Hang a clock in your bathroom so you don’t get late preparing. This one is a life-saver if you tend to lose a sense of time while preparing. Remember that being late is also a sign of being unorganized. 40. Plan your next day outfits every evening. And, to keep those clothes separated and wrinkle free until the morning, hang them on a clothes rack. These rods are also great if you want to hang clothes that aren’t dirty yet, but not clean enough to add back to the closet too. 41. Collect and sort your bills & receipts. I try to save all receipts for at least 5 years. I know this may sound extreme but this habit helped me majorly a few times when I needed to prove important purchases like health insurance. Collecting all those bills and receipts can get a little messy so you might want to organize them with pretty binders. 42. Get insurance for your home, car, and health. Speaking of which! Having insurance for important things is like taking your organization game one step higher. It’s important – don’t miss this, as it can save you a lot of nerves if something happens. 43. Designate a place for your keys. To me, it’s a pretty key plate next to my apartment door. It saves me time and I never have to guess where those keys are. 44. Create an emergency kit with things like band-aids, extra pantyhose, hair pins etc. Pack it tightly and keep it in your bag. 45. Plan your daily tasks. 46. Create a full life binder. 47. Track your stress levels. Sounds weird? I know! … But tracking stress levels can help you spot signs of burnout. If you get burnout, you won’t get organized – you simply won’t care. 48. Clean up your desk and keep it tidy. An organized desk is the first step to productive work. I have been planning to get a desktop organizer that looks like a mini shelve. It allows you to expand desk space upward which means more space on your desk + less clutter around and can I mention again that it’s incredibly cute? 49. Back up important files on the cloud. Get organized digitally – back up everything that’s important to cloud storage and keep the files organized there too. Sometimes, there is just too much of them… If you need to sort them out, try journaling. It’s a perfect way to toss out unhelpful thoughts and organize what’s left so you can finally feel at peace. 51. Get rid of unhelpful subscriptions. Beauty boxes you don’t like, magazines you don’t read – get rid of things that aren’t giving you benefits and are simply cluttering your life. 52. Throw out expired make-up, medications or food. Those tend to sneak into our fridge and cabinets pretty often and create invisible clutter. 53. Always do one thing at a time. This may be a personal preference, but I find it hard to get organized if I’m jumping from one thing to another. Start with one thing, finish it and the do another. 54. Use colored folders for color-coded organizing. I love color coding! Colored folders (they’re sometimes called file pockets) make it so much easier to sort papers, bills, binders, and tasks. You can use colored stickers, markers, sticky notes, inserts, pens – anything! 55. Keep a food diary. A part of having a clean, healthy and organized nutrition is writing down what you have eaten. This may not be for everyone but it’s especially useful for those who are trying to lose weight or have to keep a specific diet because of their health issues. 56. Plan and track your exercise progress. 57. Keep a birthday calendar. If you’re forever guilty of forgetting birthdays and anniversaries, this is something you should really have. 58. Declutter your mind – let go of the past and future. The psychological organization is just as important. If your mind is constantly cluttered with thoughts about what did or might happen, it becomes really hard to function at all. I know this because it was something I used to do all the time. Basically, I was living in my head instead of living here and now. 59. Make a clear decision to get organized. This should have been number 1! If you really want to get organized, make a decision. Write it down if you need. Just make it strong and irreversible. 60. Place dividers in your drawers. An alternative to drawer containers + easily diy-able solution to drawer organization. Plastic drawer dividers are easy to use and they allow you to divide your drawers just the way you need it. 61. Use sticky notes or washi tape for extra organization in your planner. Recycling seems to be pretty easy and important, but there are still a lot of people who aren’t doing that. If you don’t have enough space for several trash bins, check IKEA – they have great recycling bins that stock on top of each other and won’t take a lot of space. 63. Get rid of unpleasant relationships. Learning KonMari was one of the best things I have done in my life and I am recommending this to you guys over and over again. I used to struggle so much in my small apartment… I never had enough space for my stuff but I didn’t have enough space to buy new furniture either. KonMari Method helped me to radically declutter, tidy up and keep only the things that are giving me joy. Suddenly I had enough space for everything because I didn’t need so many things anymore. You can imagine how much happier I am now! If you want to get organized faster, definitely take at least a short course of KonMari, it will help you immensely. 65. Shop for holiday gifts on Black Friday. I hate leaving gift shopping for the last day so I always recommend doing it much earlier, like on Black Friday or Cyber Monday. 66. Keep fine dry things (like cereals, nuts, and oats) in clear glass containers. Glass jars look nice, they’re affordable, hermetic, help you see what’s inside and keep your pantry beautifully organized. Buy them in sets to save money and keep the design consistent! 67. Automate everything you can. Get organized + save time and energy with automation. You can automate things like bill payments, e-mails, grocery delivery, insurance renewals, subscriptions, and many others! 68. Keep a shopping list. For an organized and mindful shopping… Here’s a free shopping list printable. 69. Schedule appointments in advance. A part of an organized schedule is taking appointments when they are needed. For example, if you know you need to check your health every to months, schedule it in advance and put in your schedule so you won’t forget it. 70. Deep clean your whole home once a month. Throw out everything unnecessary along the way. 71. Clean out your fridge regularly. It’s very hard to keep a fridge organized if it’s full of products that are old or never used (I’m talking about you, condiment shelf!). Take a look at your fridge regularly and if you something that is not fresh, dispose of it. 72. Put away or donate books that you never read. Marie Kondo is applauding this hard. Books that don’t provide you with any value, are also clutter. Donate them to your local library or give them away. 73. Organize your Bible study. For that cause, use a Printable Bible Journal. 74. Start a decluttering challenge. An interesting and fun approach to organization. Decide on tasks and set up a challenge calendar to keep yourself motivated. 75. Track your moods and sleep patterns. 76. Keep track of your period too. 77. Keep the house hot-spots (like kitchen counters or bathroom sink) clean and tidy. 78. Set a time every day to relax and sort out your emotions. Only a calm and organized mind can lead you to an organized and calm life. Spend some time every day asking yourself honest questions: am I ok? If no, why? How can I help myself to feel better? 79. Organize your habits and implement better ones. 80. Tone down your room decor for less cleaning. 81. Have a binder for important documents. A very important organization tip. Keep all important documents in binders and those binders – in a safe place, like a lockable drawer. Cables are one of the hardest (and most boring) things to organize so the less there are, the easier it is. 83. Add a yearly calendar to your planner. It’s hard to go on with your life and get organized if you don’t know which direction to choose. One non-physical, but really important aspect of life organization is setting your priorities. Once you have these in place, it becomes so much easier to plan your days, weeks and months. It’s like having a sign which helps you choose your activities. 85. Learn to say no to things AND people. If you want to get organized, you have to reclaim your time. Sometimes we give too much of our time to things and people that don’t really need it as much as you do. Try to gently refuse when you feel like you already have too much of your own. 86. Delegate things when possible. It’s the opposite of number 85 but if you feel like you have way too much on your shoulders, delegate as much as you can. You can’t keep pouring from an empty cup and taking on the organization when you’re all tired is an even worse idea. 87. Declutter your wallet regularly. Busted! I know it’s full of receipts and discount cards you don’t use. 88. Keep your car tidy too and organized too. You can also use a car organizer that attaches to the back of the seat and works perfectly to hold all the random things you need to keep in your car like wet wipes, water bottles, parking cash etc. 89. Declutter your nutrition by choosing cleaner products. I know, this seems off topic but if you want to get seriously organized, you need to tidy up your nutrition too. The point here is not organization itself, but your health and the things you can do to stay healthy and energized. Take care of yourself! It’s even more important than organization. 90. Declutter drawers in every room. Do it once, repeat if needed and forget the clutter forever. Just don’t be afraid to let small, rarely used thingies go. 91. Write down your income and expense every month. This is the basis of financial organization and is very easy to do even for a beginner. Simply write down what you have earned and subtract what you have spent. If you get a surplus, put it in your saving jars. If you spend more than you earn, it’s time to think about ways to earn more or minimize your spending in order to avoid debt. 92. Create schedules for weekly, monthly and seasonal cleaning. This will help you keep things clean and organized all around the year. In order to have a productive weekend and avoid a full weekend Netflix marathon (guilty…), plan your weekend activities in advance. Make sure to include some self care! 94. Have a list of health self-checkups. Regular self-checkups can help you notice any unusual things at the earliest. I try to check up things like moles, breasts, and teeth every month. You can also try at home health testing kits that are getting very popular lately. 95. Disinfect doorknobs, light switches, and TV controls often. 96. Use various boxes and containers for all small size things (like cereal, pasta, cotton picks etc.). 97. Create a skin, body and hair care routines. A great way to get organizes with your beauty routines is to create a separate routine for each of these things. You can even hang your routines inside your bathroom cabinets. 98. Stop buying duplicates (like the same skirt in 5 colors). Always think if you really need them. Many times you will end up wearing one or two and skipping others… Those extra skirts are only cluttering your closet. 99. Allow yourself to be imperfect and not 100% organized all the time. Being organized is awesome but always remember that life is happening here and now. Don’t miss it! Have fun! Go on adventures! These things will forever be more important than being organized. I hope you enjoyed this list and if you did, don’t forget to share it on social media using the buttons below! Are you determined to get seriously organized? Share in a comment at the bottom. i hoped i remember all these! i always have a tidy room. thanks for the tips! it really helped me a lot. I’ll do some lists too! is there a printable list please? What happened to 89 and 90? ?